Surrounded by a tier of green mountain wall, in the Kathmandu valley, Kathmandu is the largest city and capital of Nepal. It is a city of great historic, artistic and cultural interest dotted with many shrines, temples, palace squares, charming old bazaars and ageless sculptures. 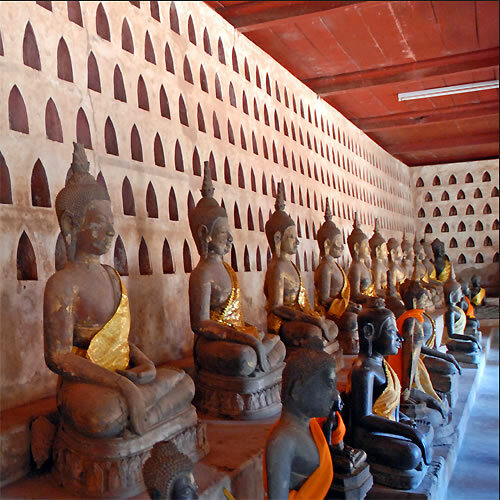 The capital of Laos, Vientiane is the smallest capital city in Asia and, unusual for an Asian city, it is a quiet and peaceful place where time seems to stand still. Located in the middle of Pokhara valley on the banks of the Seti River, Pokhara is the center of adventure of Nepal - the perfect starting place for hikers and trekkers. The serenity of Phewa Lake and the magnificence of the summit of Machhapuchhre (6,977 m) rising behind it create an ambience of peace and magic. The valley surrounding Pokhara is home to thick forests, gushing rivers, emerald lakes, and of course, the world famous views of the Himalaya. The most interesting part of the town is the old center in the north of the city (purano bazar) where many old shops in the Newari style can be found. 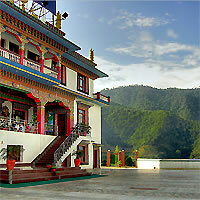 Temples worth visiting are Bindhyabasini temple and Bhimsen temple. The best viewpoint of Pokhara is Sarangkot (1600 m )and Thulakot (in Lekhnath a part of famous Royal Trek from where four lakes Phewa, Begnas, Khaste and Dipang and whole annapurna range is seen) to the west of the city. City of Temples and The mirror to the Himalaya. 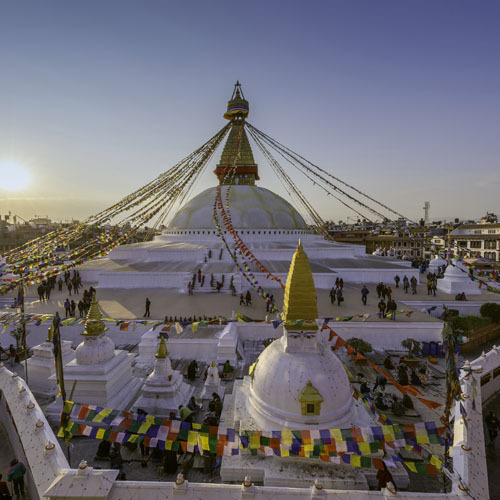 Begin this amazing guided experience flying into Kathmandu, get amazed by its fantastic tourist destinations including Boudhanath Stupa which is the largest Buddhist monument, and Pashupatinath Temple which is one of the most sacred Hindu shrines in the world. Then drive south east of Kathmandu towards Kathmandu Valley and visit Bhaktapur which is now like an open air museum, moreover you will be able to visit the renowned Durbar Square, Golden Gate, and Potters Square. Combine this fantastic adventure driving to Pokhara, spend time visiting this beautiful hill town in the foothills of Himalayas, and do not miss enjoying the fascinating views of Annapurna range including the fish tail peak of Machapuchare. After enjoying your guided tour you will be driven back to Kathmandu. Fascinating India and Nepal!...Begin your vacation in Delhi, this megapolis is dotted with spellbinding mosques, forts, and monuments from the Mughal. 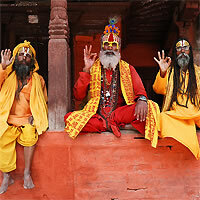 Then fly to Kathmandu, a city filled with rich history, religious events and cultural celebrations. Here you can visit Boudhanath Stupa, meaning the 'Lord of Wisdom'. This Tibetan Buddhist monument is the largest stupa in Nepal and one of the largest in the world. Also visit Pokhara, surrounded by beautiful snow-capped mountains, with a magnificent lake of crystal-clear Himalayan water. 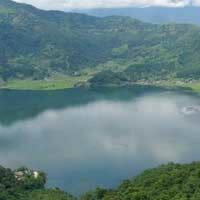 After enjoying your guided tour you will be driven back to Kathmandu.